USC Shoah Foundation — The Institute for Visual History and Education embarked on a new chapter on Tuesday when it unveiled its new global headquarters on the USC University Park Campus. The event marked the start of the institute’s 25th anniversary, a time that will propel its work into new frontiers as it continues its mission of sharing the 55,000 testimonies of survivors of the Holocaust and other genocides to foster empathy and respect. 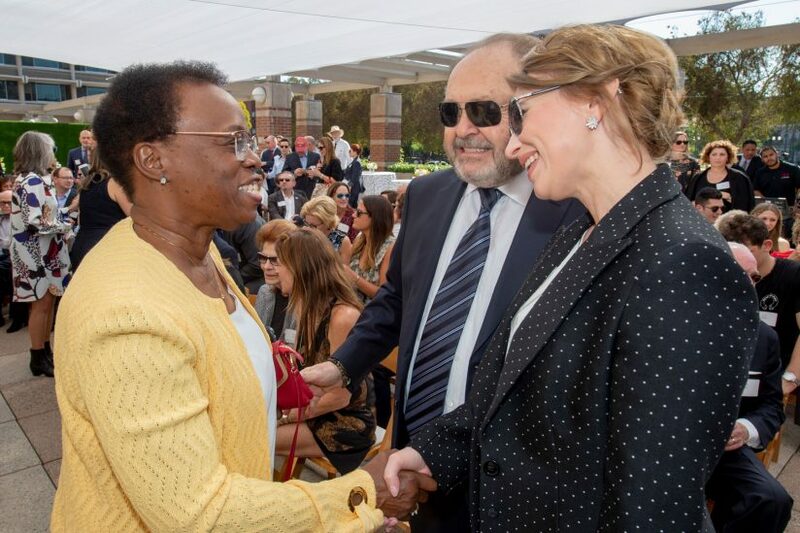 The ceremony was attended by USC Shoah Foundation founder Steven Spielberg, USC interim President Wanda M. Austin and Stephen Smith, the USC Shoah Foundation Finci Viterbi Executive Director, as well as members of the institute’s Board of Councilors and Next Generation Council. The new office, on the top floor of the Leavey Library, doubles the space available as the institute scales its work to reach more people. 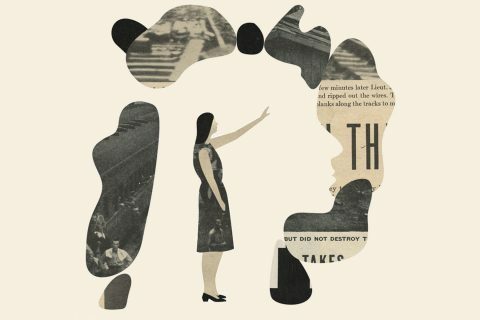 For the first time, it offers a lobby with interactive displays about their work with survivor testimony and its impact around the world that the public can visit. Spielberg praised Smith for his unwavering commitment to the institute’s mission. “Stephen, I want to thank you for your stewardship, your vision and your dedication,” Spielberg said. He then reflected on the recent mass shooting in Pittsburgh. He said the state of the world has underscored the urgency of the Institute’s mission. We need to stand up to hate everywhere. And this is what our next 25 years will be all about. Austin said the university remains devoted to the ideals of the institute and echoed the reflections about the tragedy in Pittsburgh. Smith took a moment to read a letter to USC Shoah Foundation from the daughter of Judah Samet, a Holocaust survivor who is a member of the synagogue in Pittsburgh that was targeted Oct. 27 — and missed the massacre by minutes. 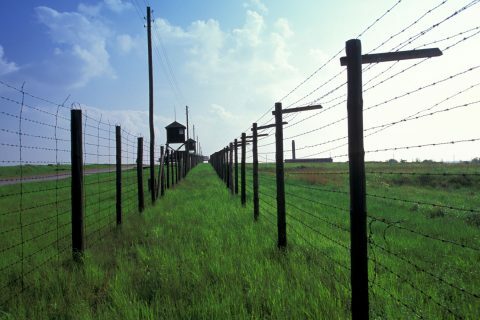 Samet gave his testimony to USC Shoah Foundation in 1997. George Schaeffer, who funded the George and Irina Schaeffer Hall for Genocide Study in the new office, said that the work of the Institute revolves around three words: hate, hope and love. Hate is very easy. … Hope is more difficult. Donor Melinda Goldrich spoke about her father, the late Holocaust survivor Jona Goldrich, for whom the institute’s new Jona Goldrich Center for Digital Storytelling is named. The USC Shoah Foundation visitors’ center will be open to the public starting Monday, from 10 a.m. to 2 p.m.
At the star-studded Ambassadors for Humanity Gala, the pair are honored for their longstanding commitment to humanitarian causes and support of veterans. A visit by survivor Pinchas Gutter to his homeland is a recollection of the family he lost and the life he might have lived. 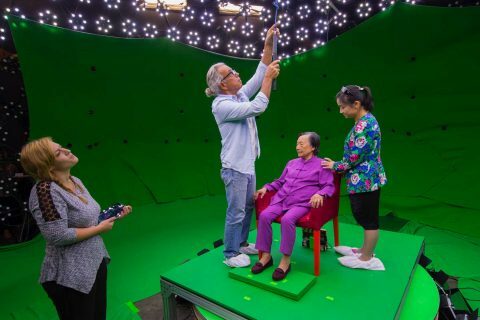 USC Shoah Foundation develops technology that allows audiences to interact with the recorded image of a genocide survivor.